The U.S. Air Force is considering procurement of small satellites that can augment or serve as backups to the country’s existing military satellite constellation, Defense One reported Monday. The report said Air Force officials aim to make it more difficult for adversaries to disrupt space-based services through a satellite diversification effort. 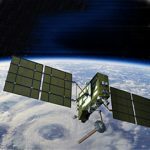 The Air Force has worked to identify methods to better protect space assets against interference and some of their ideas could emerge when the Defense Department unveils a budget plan for fiscal 2019. The branch also looks to extend the service term of Air Force Space Command commander to six years and appoint a three-star military officer as vice commander to help manage space projects.